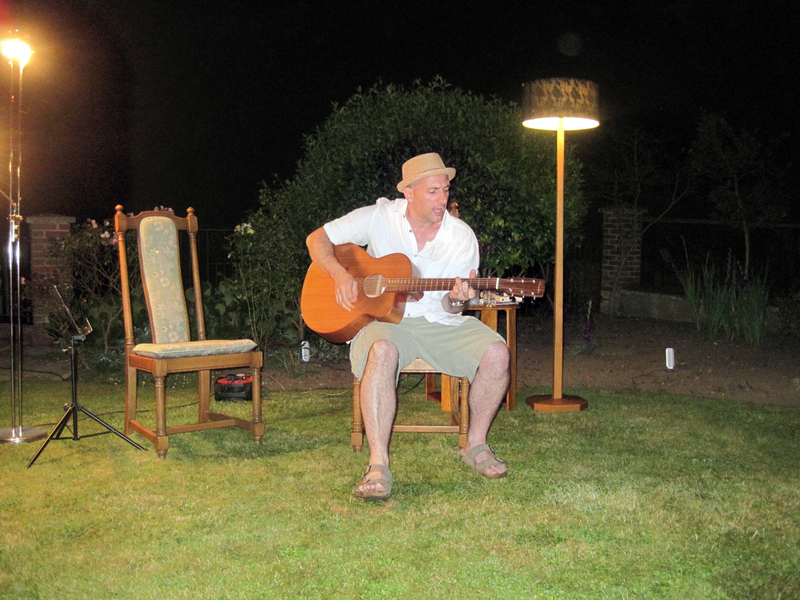 Have I said, since March 2014 I’ve been performing in the living rooms, kitchens and gardens of Berkshire, Oxfordshire, London, South Wales and Glasgow? It’s been more humiliating and embarrassing than I’d been planning – in fact just telling you what I’ve been up to is excruciating. I’ve wanted to do something to support dementia research and respite care for a while now. Over the last 7 or 8 years we’ve been helped and supported so much by so many people and it’s time to give back. My wife and I built an annex for my in-laws. Nicky’s mum has dementia and Nicky’s dad,is a saint and has looked after her in so caringly for 10 years now. We support Paul where and when we can but Val is so ill now that I can do less to help. It is a terrible thing watching her lose all of her faculties. On the up side she’s the pivot of the McGirr family and the thing that makes lot of things happen around here. She’s always on our minds and an inspiration. I have various things I worry about. One of these is the disappearance of home entertainment that doesn’t involve TV or computer games. I used to love going to family parties and listening to my Uncle Bill playing piano and singing along. I always had a party piece just in case. I was rubbish but Harry Lauder’s Just A Wee Deoch & Doris was always practiced and ready to go. For various reasons my Mum and Dad always had Dutch guests who always sang at the end of an evening and I thought it was magic. So this is not really all that relevant except to say I had this idea that I would like to take something back into the living room that we’d lost. Seven Songs is something different and instead of the telly. So now I sing seven songs (or more if demanded) and play guitar for about 40 minutes and collect for the Alzheimer’s Research UK. 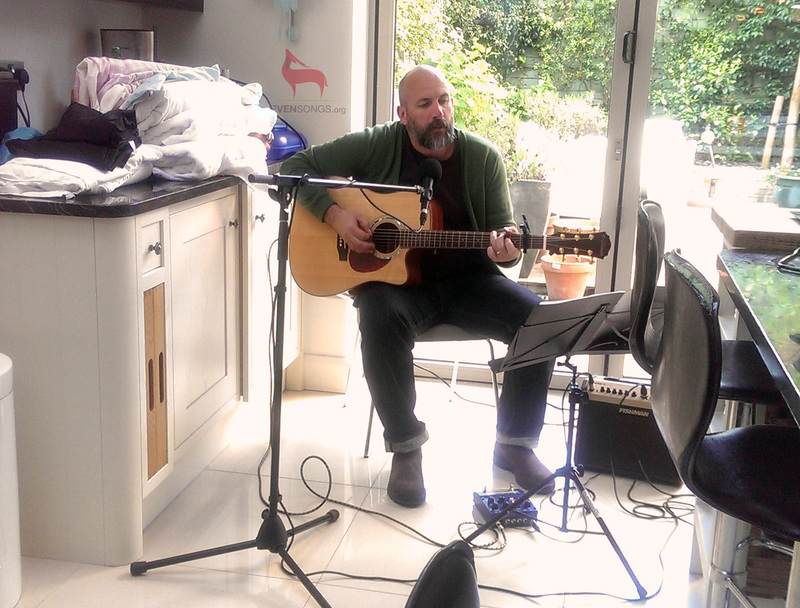 I started just by hassling friends and neighbours… no one really knew I played guitar let alone sing (it’s been something I’ve honed in my shed over 20 years). And let’s be honest an old bloke offering to sing to you in your living room isn’t a dream night in. Lots of people said yes, bless them. I clearly also distressed others who, although supportive, are still to have the delights of me belting out the Bring on the Dancing Horses five yards from their settee. Once I got the first five or six gigs under my belt I had a difficult period where every gig was torture (for me more than my audience). I actually enjoyed doing it once I got going and then afterwards I would be disappointed with myself and thought I could do better and wanted to go through the nightmare again. I’m still in this spiral of despair – one day I will be brilliant – but anyway two major milestones were reached. Some friends who were really only acquaintances asked me to play. I had to be good… they were having a dinner party with strangers. I played at a friends party to about 30 people and I didn’t get many donations. So now I realised I had practice harder to be good and ask for donations: I hadn’t really got my pitch right, I was too casual and expected folk to go online and donate to my Just Giving site. That doesn’t really work… it’s a numbers game and I had to up my give or run away ratio. I started passing around a hat, which was OK, but when I introduced my biscuit tin at a pub gig in Glasgow folk started passing it around for me. Wow. That was a big moment… pass a tin not a hat. 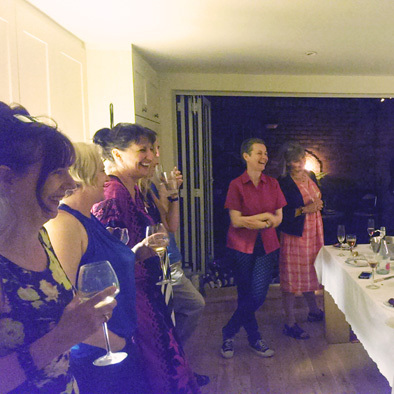 The naughty nunnery supper club crowd. My playlist started off fairly obscure but after 10 or so gigs I learned that it’s OK in moderation but folk like to hear stuff they know. Now I play songs people know but I don’t want to play run of the mill acoustic ballads, I want to play great songs so there is a slight twist – it’s only me so I’ve rearranged the music differently to fit with what I can do… it now ranges from Echo and the Bunnymen to Abba to Dionne Warwick. I still do some country blues and songs from my hero Bert Janch: think disco/folk/punk/blues. Have I said why the Alzheimer’s Research UK? It’s a terrible disease and awful if you have it – we need high quality research now. It’s massively under funded at the moment. I can’t begin to express the journey that my wonderful wife, Nicky and her father, Paul have been on over the last ten or twelve years. We can do better, and we should do better. I’ve heard some disturbing views and opinions from bright people who should know better but the fact is dementia is my generation’s burden and we need to bear it better. Anyway, just to reassure you I play well, sound good and sing nicely for 30 or 40 minutes. It’s a good, probably old fashioned, entertainment. 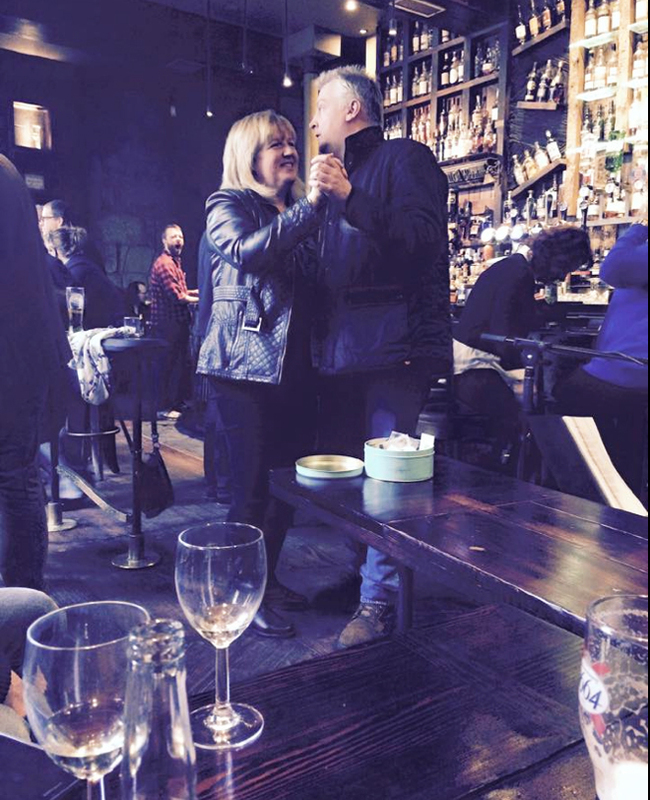 So coming up in the next couple of months – I’ve been asked to play again at the Deli Rouge in Cardiff, I’m trying to line up a Manchester ‘tour’ and hopefully playing at the Ben Nevis in Glasgow again in the next couple of weeks. I do, however, have to up my game this year. I’d like to involve more people perhaps playing and singing and I like to do another 25 or 30 gigs… this will be challenging because I’ve already played for most of the people I felt I could ask. I raised £2000 in 2014, I’d like to do at least that in 2015. I know I’ve said this before but I’m available for dinner parties, barbecues, ladies nights, blokes nights, shed events or just instead of an evening in front of the telly. You don’t need to do anything and it could just be one or two of you or a gathering, I don’t care. Say the word and I’ll be there – no audience is too small and don’t worry about donations – I’d be delighted if you can contribute but I’ve learned that it happens and people give what they can.